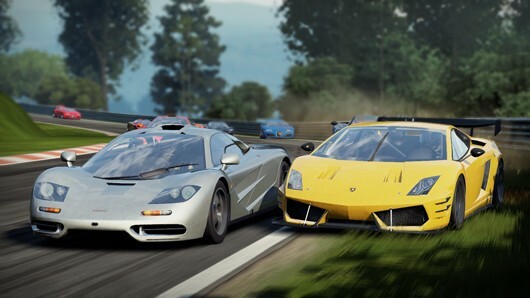 It was a wise move for EA to subdue the Need For Speed in the title of its sequel to last year's first racing sim in the franchise, Need For Speed: Shift. That's not to say Shift 2 Unleashed is unworthy of the brand -- far from it -- but given how well received the last arcade-style NFS title, Hot Pursuit, was, there would surely be plenty of folks who'd think this was the sequel to that game. It's so very not that. The original Shift remains one of my favorite racing games of all time -- and one of my most-played titles ever, too. So, to say that I've had some pretty high expectations of its sequel would be an understatement. Since last year, I've wondered how EA and Slightly Mad Studios were going to improve on the most realistic feeling, visceral and downright fun console racing sim to date. The short answer: They made it more realistic. The long answer is after the break. Shift 2 Unleashed review: Pedal to the medal originally appeared on Joystiq on Thu, 31 Mar 2011 18:30:00 EST. Please see our terms for use of feeds. And the hits just keep on coming. THQ has confirmed to Gamasutra that it has reduced the staff sizes of Red Faction developer Volition, Inc. and Homefront developer Kaos Studios. Volition, whose team of around 200 is also working on the next, bonersword-equipped installment in the Saint's Row franchise, had its headcount cut by 16 positions. Kaos Studios, which employs more than 100 developers, lost 17 across its departments. In its statement to Gamasutra, representatives for THQ explained, "The changes are not expected to affect any current or future titles in development with Volition." The statement adds that Kaos has a "dedicated team in place" to continue supporting Homefront with post-launch content while preparing for future projects. We wish the 33 folks affected by the cutbacks the best of luck in getting back on their feet. THQ lays off 33 across Kaos Studios and Volition originally appeared on Joystiq on Thu, 31 Mar 2011 17:20:00 EST. Please see our terms for use of feeds. Yes, there have been a million Wonder Boy games re-released on Virtual Console and other platforms, so another one doesn't seem like it would be a big deal. But Monster World IV, originally for Mega Drive/Genesis (and despite the name, the last game in the populous Wonder Boy series), never came out in North America. 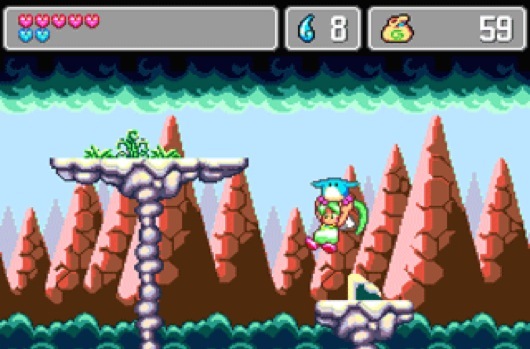 Monster World IV, starring a green-haired girl and her long-eared spheroid partner, is also considered the best game in the series. According to the ESRB, Sega is finally preparing an American release of the game, on PSN and XBLA. Strangely, no Wii version is mentioned, despite the fact that Virtual Console is, like, the place for old games, and despite the fact that so many Wonder Boy games have been released on that platform -- including this one, in Japan. Sega's Monster World 4 coming to XBLA, PSN, and not Virtual Console originally appeared on Joystiq on Thu, 31 Mar 2011 16:30:00 EST. Please see our terms for use of feeds. Having already proven his absolute comprehension of the sweet science of Shift 2: Unleashed, pro racer Tommy Milner now faces an even greater challenge: besting Irish driver Darren McNamara using the game's Autolog feature. Can he preserve his honor? For America? Shift 2 featurette pits two pros in an Autolog showdown originally appeared on Joystiq on Thu, 31 Mar 2011 16:00:00 EST. Please see our terms for use of feeds. There are plenty of similarities between LA Noire and Rockstar's other crime-centric franchise, Grand Theft Auto. Namely, the former contains a lot of grand theft auto. Check out the trailer for "A Slip of the Tongue," a case offered exclusively as a Walmart pre-order bonus, posted just below. LA Noire trailer demos 'Slip of the Tongue' pre-order bonus case originally appeared on Joystiq on Thu, 31 Mar 2011 15:20:00 EST. Please see our terms for use of feeds. Houston-based game developer Pi Studios has closed its doors, reports Big Download via a reliable source. The studio had a hand in several notable titles, including Call of Duty 2, Call of Duty: World at War, Wolfenstein and the PS2 and Wii versions of several Rock Band games. Most recently, the studio was working on Bonk: Brink of Extinction, the 3DS version of which was reportedly canceled earlier this month. Assuming the report of the studio's closure is accurate, the XBLA, WiiWare, and PSN versions are presumably canceled as well. Prior to today's report, several former members of Pi Studios recently formed Category 6 Studios, led by Kenn Hoekstra. The new company today announced its first title, Blackout, an Unreal Engine-powered survival horror game in development for Xbox 360, PS3 and PC. Pi Studios reportedly shuttered, ex-staff form Category 6 Studios originally appeared on Joystiq on Thu, 31 Mar 2011 14:30:00 EST. Please see our terms for use of feeds. Sometime it hard to be Bloggy Monster. But then Bloggy Monster remember there new screens and concept art for Sesame Street: Once Upon a Monster (that new game for Microsoft arm-wavy box). Then Bloggy Monster look at art in rich, web 2.0 gallery and Bloggy Monster happy again! Bloggy bloggy bloggy! 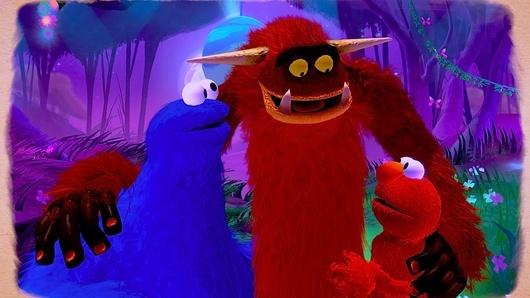 Eight pieces of Sesame Street concept art and screens (Eight!) originally appeared on Joystiq on Thu, 31 Mar 2011 14:00:00 EST. Please see our terms for use of feeds. Everyone's favorite (by default) redheaded, Nazi-fighting half-vampire is rising once again, this time with the help of an unlikely ally. Majesco is bringing back its pre-Cooking Mama, pre-casual property Bloodrayne in BloodRayne: Betrayal. The new game is the work of WayForward Technologies, a developer best known for games like A Boy and His Blob, Contra 4, and Shantae, and not really for grimdark games. 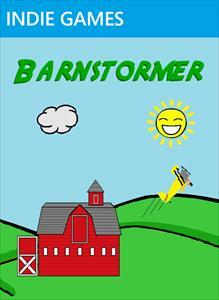 It's also the developer's first Xbox 360 and PS3 project, due for XBLA and PSN this summer. Betrayal is a 2D side-scroller with "new characters, gruesome environmental puzzles and a full arsenal of lethal weapons including Rayne's signature arm blades" -- and, of course, a "deadly dose of bloodshed." BloodRayne: Betrayal this summer on XBLA and PSN, courtesy of WayForward originally appeared on Joystiq on Thu, 31 Mar 2011 12:30:00 EST. Please see our terms for use of feeds. The Superior Court of Quebec has granted Ubisoft an injunction that prevents THQ from obtaining any more of Ubisoft's employees in ye olde city of Montreal. Game Informer (following up on a report by Rue Frontenac) received an official statement from Ubisoft, in which the publisher requested that the court place an injunction order on THQ based on the "non-solicit clause" included in Ubisoft Montreal employee contracts. "This procedure aims to protect Ubisoft Montreal in a breach of contract situation," said the statement, "and to defend the long-term financial and creative health of the studio." Translation: Ubisoft hit the panic button following a talent drain that started when creative bigwig Patrice Desilets left Ubisoft to form his team at THQ Montreal, which included several other Ubisoft folks. 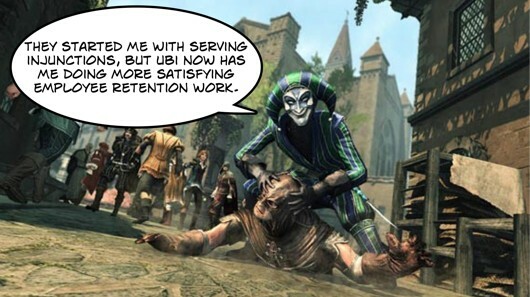 In obtaining the injunction, Ubisoft even used a Joystiq article from January as evidence of a breach of contract. In that post, THQ exec Danny Bilson admits to hiring three Ubisoft employees (who were bound to a non-compete clause) on retainer. Given that several major publishers are moving to Canada, THQ is just one of Ubisoft's home turf concerns. Ubisoft probably has the lawyers working overtime to legally add a "restraining order clause" to employee contracts, forcing them to stay 100 meters away from any competitors' employee. Ubisoft prevents THQ from hiring more of its Montreal employees with court order originally appeared on Joystiq on Thu, 31 Mar 2011 12:10:00 EST. Please see our terms for use of feeds.